$4,179.00 This may be in stock for quick delivery; please call! 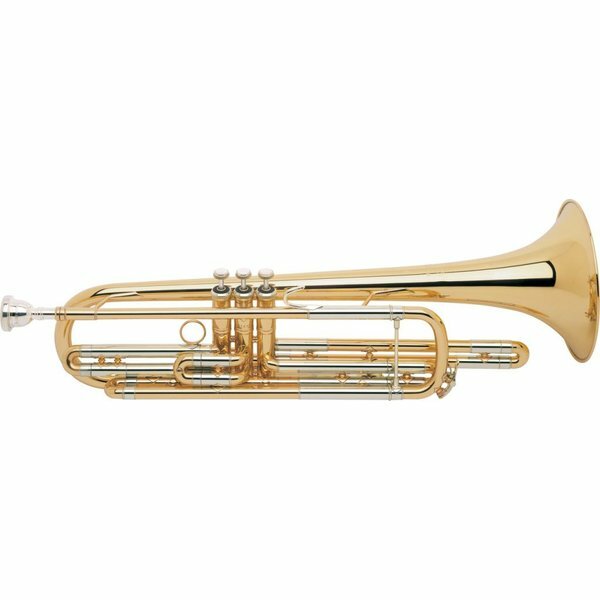 Initially designed as a alternative to the valve trombone, the B188 bass trumpet is well suited for everything from Wagner operas and solo work, to jazz ensembles, brass quartets, and marching bands. Vincent Bach combined his unique talents as both a musician and an engineer to create brass instruments of unequalled tonal quality. Often copied but never duplicated, Bach Stradivarius instruments today remain the sound choice of artists worldwide. 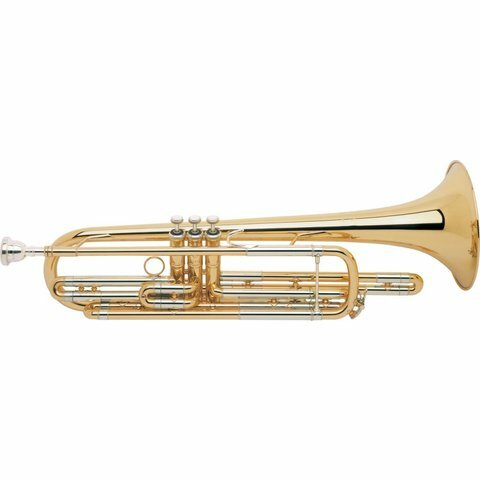 Initially designed as a alternative to the valve trombone, the B188 bass trumpet is well suited for everything from Wagner operas and solo work, to jazz ensembles, brass quartets, and marching bands. The 7" diameter one-piece hand-hammered professional yellow brass bell provides tremendous volume and projection. It requires the use of a small shank trombone mouthpiece. The 1st valve thumb ring allows for quick intonation adjustments while the Monel pistons provide smooth and quick action. The clear lacquer finish provides a subtle warmth to the overall sound. These features combined with a .485" bore allow the player to produce a well-rounded sound well suited for all types music. Bach "Stradivarius" - Bass trumpet, key of Bb, .485" bore, one-piece hand-hammered yellow brass bell, Monel pistons, 1st slide thumb ring, clear lacquer finish, 12C small shank trombone mouthpiece, 1841 woodshell case. Available in silver-plate finish as model B188S.